Reliance Jio, as a part of of its partners offer scheme, has decided to offer up to 30GB free 4G data to the Xiaomi users. As per the information available on official Jio website, Xiaomi users will get up to 5GB additional data on every recharge of Rs. 309 or above with the offer lasting till 31st March 2018. As such every Xiaomi customer is eligible to avail the offer but just in case you are not sure about the same, feel free to call the Jio customer care to get your queries resolved. Post every recharge, Jio will authenticate the phone make through its IMEI number and provide the eligible customer’s with additional 5GB free data. This offer would be valid for a maximum of 6 recharges, that means a tatal of 30GB data is being offered for FREE. According to Jio care, the phone should necessarily be 4G-enabled Well, now who should explain Jio care that Xiaomi only manufactures 4-enabled phones. The Xiaomi series that is eligible for this offer include: Redmi Note 4, Redmi Note 4G, Redmi 3S, Redmi 3S+, Redmi 4, Redmi 4A, Mi A1, Mi Max 2 and Mi 5, Redmi 2, Redmi 2 Prime. 1. Every eligible subscriber (who owns a 4G-enabled Xiaomi phone and is a Jio subscriber) will be entitled to 5GB free 4G data per recharge during the offer period. 2. 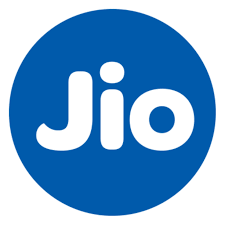 The additional data will reflect in user’s Jio account within 48 hours. 3. The offer can be availed for a maximum of 6 times before 31st March 2018. 4. In case of non-utilization, the data is will expire. 1. Download the MyJio App from Google playstore. 2. Open ‘My Vouchers’ section in the MyJio App. 6. You will receive a notification about success of recharge through SMS. Well, with more than 10 crore active subscribers Reliance Jio has proved its mettle in the Telecom industry. simultaneously, being a market leader in the Indian Smartphone industry, Xiaomi has proven its worth. Now when both these companies have joined hands to enhance and improve the customer experience, then why should we spread the word to ensure every Xiaomi+Reliance Jio user avails the offer right away. Share this post and spread the word that Reliance Jio to offer 30GB Free 4G. Thanks. HimBuds.com is a one-stop-portal for most of the information you seem to be looking for. We cover every aspect, be it Technology, New Product Launches, Fashion & Lifestyle, Digital India, Start-Ups, Business, Career Advice, Motivation, Financial Literacy, Politics, Food Trendz etc. This is an jio nic plan and jio also give the best service from another one.